Don’t get locked into a bad deal. Ask these questions before signing a medical waste service contract, whether it’s with a new vendor or not. 1. What is the duration of the contract I am required to sign? If any medical waste disposal company requires you to sign a contract longer than 12 months you should ask yourself why? Most businesses that insist on a three- or five-year contract do so because they don’t want you to have the option of leaving if they raise your prices, provide poor service or charge hidden fees. 2. If you raise my prices or provide poor service will I have the opportunity to get out of my contract? Most medical waste companies that require long contracts offer no way to get out once you sign. In fact, they may charge very large fees amounting to thousands of dollars to terminate a contract. Additionally, many companies impose automatic price increases, which can cause your costs to rise exponentially over the duration of the agreement. Remember, if it isn’t in writing, it doesn’t exist. Don’t rely on a verbal promise. References are the best determination of how you will be treated and charged so make sure you request them. 3. Is the price quoted all-inclusive or will there be additional charges on my bill? 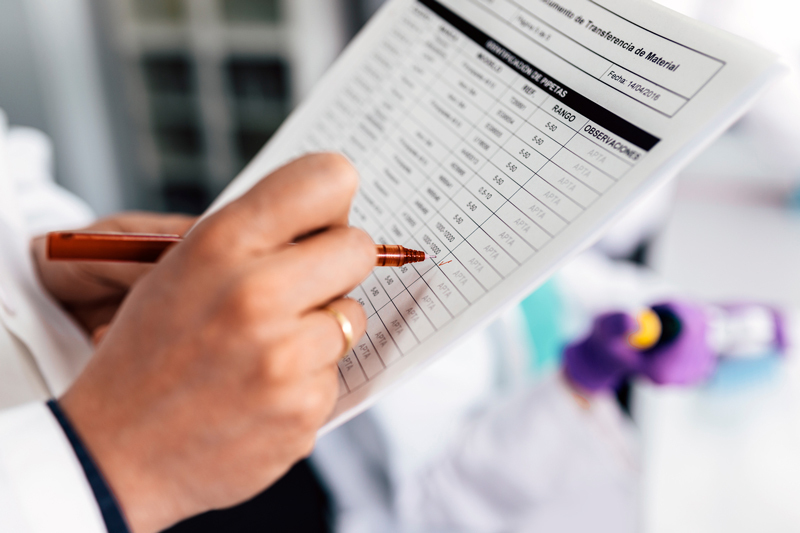 A very common practice in the medical waste industry is to quote a low monthly charge on the front page of the contract, followed by many pages of fine print outlining additional fees. These may include container surcharges, stop fees, fuel charges or excess waste fees, and can often triple your original quote. Make sure you fully understand what you will be charged up front. 4. If some of my waste barrels are empty on pick-up day will I be charged for the empty barrels? All businesses experience a fluctuation in the volume of the waste they generate. And yet large medical waste disposal companies are infamous for charging customers for waste they don’t pick-up. For example, say you have four barrels but only two are full on pick-up day, the company may charge you for four regardless. At US Bio-Clean, we believe it is simply not ethical to charge customers for waste that does not get transported or treated. 5. If I generate excess waste and require an additional pick-up what will I be charged? Some medical waste disposal providers hit their customers with unreasonable fees for unscheduled pick-ups or extra containers of waste. You should expect to be charged your regular contracted rate. 6. Have your employees undergone any specialized training that will benefit my business? While many medical waste disposal vendors simply hire a driver to pick up your waste, this is a highly regulated industry. The employees handling your waste should receive comprehensive training in bio-hazardous medical waste management and ongoing continuing education in OSHA blood-borne pathogens, hazard communications and HIPAA. Additionally, each employee should be required to pass a criminal background check and drug test. If a company cannot explain the type of training every employee receives, you should look elsewhere. 7. Are your employees required to be in a professional uniform when servicing my business? The image of your business is important, and the vendor should respect that. Your customers are likely to see the medical waste driver so make sure the company you select will not harm your company image. 8. If I have a problem and call the customer service number will I reach someone in Arizona that can solve my problem today? Chances are if you call the customer service line at a national company you will reach a customer service representative out of state who has no knowledge of your account. Additionally, this person will likely not be familiar with specific Arizona regulations or have the authority to solve your problem in an efficient manner. Ask for references at similar types of businesses (and call them!) before you sign any contract. 9. Is your company registered with the Arizona Department of Environmental Quality (ADEQ) and has your company ever had any violations? The regulatory authority for all biohazardous medical waste transporters in Arizona is the ADEQ. Due diligence is your responsibility. Call the ADEQ at (602) 771-4110 to verify a company is registered and does not have a history of violations. 10. Can your company help us put together a comprehensive medical waste disposal program customized to our business? Some medical waste disposal providers operate similar to waste management companies. They simply drop off a container and pick it up in a week or a month—that’s it. But every customer should have a medical waste assessment conducted to make sure all regulatory issues are addressed. Trust your business with a company that has the expertise to help you navigate the regulatory landscape of biohazardous, pharmaceutical, pathologic and chemotherapy wastes. For a no-obligation medical waste assessment, call US Bio-Clean at (602) 384-3927.